Tweet How many times have you tried to look for a gift which you want to give to a foreigner friend, and you wanted it to represent Malaysia? 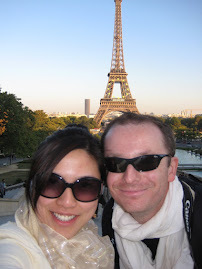 Well, if you are like me, you would have given gifts like Royal Selangor, Boh Tea, Vincci, and Old town coffee. 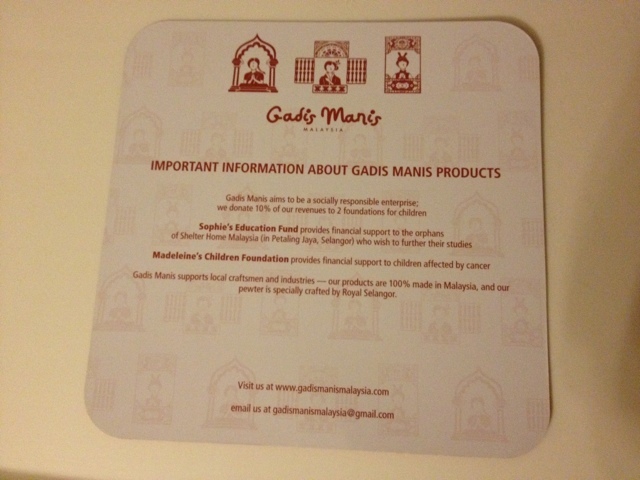 Something more creative (and with a cause) which you can give the next time you need a gift could be something from Gadis Manis Malaysia. Her cute shop is located in Publika and it houses many nice Malaysian-made items which will surely be unique (not your typical gifts from Isetan/ Parkson). Her story is quite inspiring and it was told to me by the art gallery owner beside Gadis Manis. After I checked out her shop, I fell in love with the scent in-store and asked about it. Their "Yati" scent was nice and it was made in cooperation with Spice Garden of Penang. I bought one of their essential oils, while I browsed around for future potential gifts. Their items like t-shirts and bags have the beautiful design which represents Malaysia -- 3 ladies (Malay, Chinese, and Indian). Subtle yet directly representing the wonderful multi-culture of Malaysia... The perfect gift. The shop also donates some of its proceeds to 2 foundations. 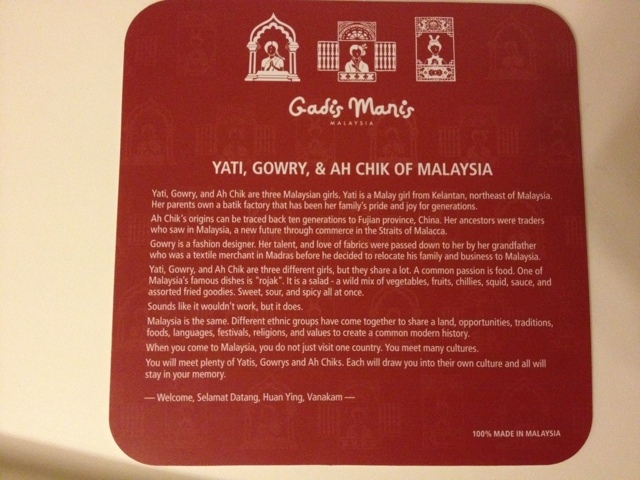 Once you visit the shop, you will find some printed copies of Gadis Manis (I have included a photo of the front and back). I wasn't able to take a photo of the colourful bags. Definitely the designs are nice and not too pricey. Lovely gifts for the ladies! They also have children t-shirts and adult tops, shirts and polo. Hope this helps you in your next gift idea!